Originally from the San Francisco Bay Area, Eunice was naturally groomed to love fresh and local cuisine. Over the years she fell in love with the food & service industry, which was solidified one day while serving for one of San Francisco’s leading catering and event planning companies. Eunice dove into event planning and quickly moved up the industry to a production and management position. She prides herself from working from the bottom up, learning every aspect of the catering and event planning industry, and now specializes in high profile events including everything from corporate galas to glamorous weddings. 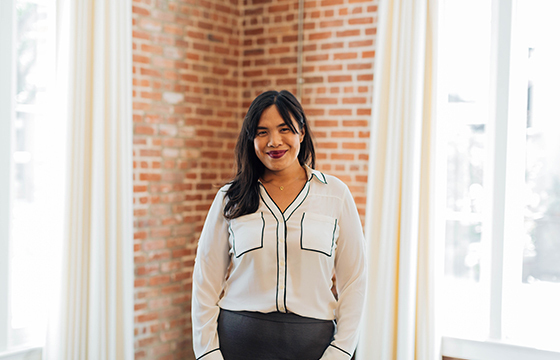 Eunice is excited to bring her extensive experience, fresh take on design, attention to detail, and passion for bringing people together to the Southern California Region through Jay's Catering. One of her most memorable experiences is meeting President Barack Obama during an intimate fundraiser dinner that she took part in planning while in the Bay Area.